How's your week going so far? Good I hope! Through The Craft Room Door. Part of my prize was an invitation for a Guest Designer Spot! I was delighted to join in with the team! I opted to use some of the pretty papers from the set to create my card! Quite a simple card really but I thought I'd let the papers shine through! 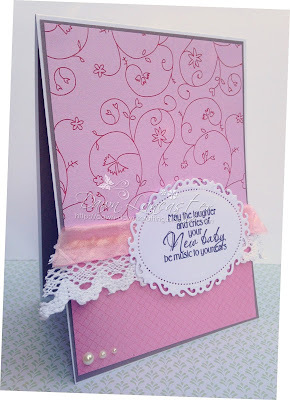 Beautiful card, love the papers and oh my the lace and ribbon is gorgeous. A beautiful card Dawn, such pretty papers and elegant design. Dawn, this is a lovely and very elegant baby card, super sentiment and pretty touches with the lace and ribbon. Thank you for joining in this time at In The Pink. Beautiful card for a sweet new baby! Love the touch of lace, perfect! 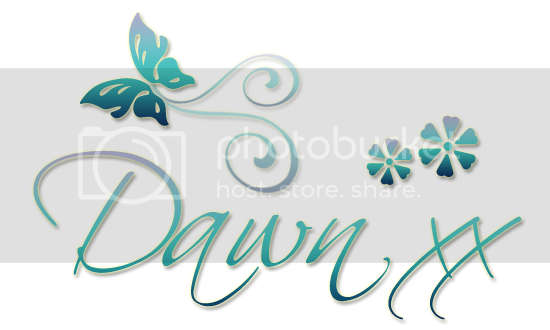 Hi Dawn! Your card is just so pretty. Perfect for a baby girl! Thank you again for being our Guest this week at Through The Craft Room Door . Gorgeous card Dawn, loving the pinks! A super card Dawn and love the pinks. Beautiful! Thanks for joining at Craft and Smash!